Mopar is bringing truckloads of new product to the PRI show in Orlando -- including the reincarnation of its famed "elephant motor" from the 1960s, an all-aluminum HEMI Gen III Crate Engine. Production for the new motor begins this month. "More than any other show, PRI attracts the Mopar brand's core customers of racers, muscle-car owners and ultra-performance enthusiasts," said Pietro Gorlier, President and CEO, Mopar, Chrysler Group LLC's service, parts and customer-care brand. "We will show this core group of enthusiasts what Mopar has under the hood." In addition to the new elephant motor, the 2011 Mopar Challenger V-10 Drag Pak, the first and only 500-plus cubic-inch V-10 drag-race package car on the planet, will headline the Performance Racing Industry (PRI) Trade Show, Dec. 9 - 11 at the Orange County Convention Center in Orlando, Fla. New Moparized rides and 10 new Mopar performance parts will also be on display. The 2011 Mopar Challenger V-10 Drag Pak, recently named to the 2011 "Hagerty Hot List" of collectible cars, will be on display on the Mopar Image Center stage at PRI. Fans will have the opportunity to pose for an eShot photo on Thursday and Friday with the new rear-wheel drive race car, approved for NHRA Stock and Super Stock competition. Mopar stars, past and present, will sign autographs and meet fans at PRI. Mopar racing legends "Big Daddy" Don Garlits and Herb McCandless will make an appearance in the Mopar exhibit on Thursday, Dec. 9, at 2 p.m. EST. Current Mopar-powered NHRA Pro Stock stars Allen Johnson and V. Gaines will participate in a Mopar meet-and-greet on Friday, Dec. 10, also at 2 p.m.
Mopar 426 Aluminum HEMI Gen III Crate Engine: The Mopar 426 Aluminum HEMI Gen III Crate engine assembly includes the intake manifold and oil pan and offers 540 horsepower and 530 ft.-lbs. of torque. Part Number (PN): P5155513; Manufacturer's Suggested Retail Price (MSRP): $13,675. Mopar Valvetrain Tie Bars: For the HEMI Gen III, valvetrain tie bars increase the stiffness of the rocker shaft attachment to the cylinder head and provide increased valvetrain stability at higher RPMs. PN: P5155654 (5.7/6.1L), P5155655 (6.4L); MSRP: $399. Mopar Rear Strut Tower: Achieve additional chassis rigidity with this rear strut tower bar for the 2008-2010 Dodge Challenger, 2005-2010 Charger/300. PN: P5155751; MSRP: $505. Mopar Midget Race Cylinder Head: This overhead cam-style cylinder head for midget race 4-cylinder engines allows for increased RPMs and is compatible with existing Mopar engine blocks. Available February 2011. PN: P5155784; MSRP: N/A. Mopar W2 Heads: For a small block wedge, W2 heads feature cast-iron race cylinder heads machined for 2.02-inch intake valves and 1.60-inch exhaust valves. Available January 2011. PN: P5249769; MSRP: $636 each; PN: P5007708AB; MSRP: $620 each. Mopar Gen III Distributor Kit: This distributor kit allows for the use of a distributor to fire the ignition for the 5.7L/6.L HEMI Gen III engine. Available February 2011. PN: N/A; MSRP: N/A. 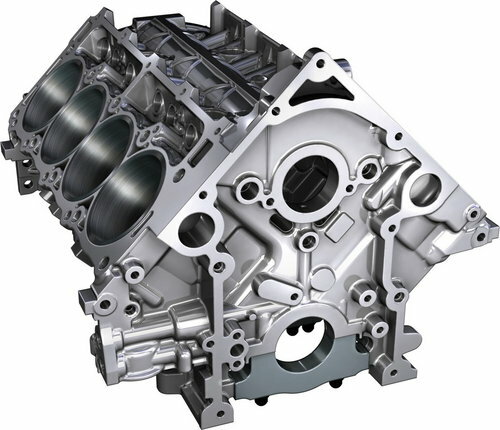 Mopar Aluminum Engine Blocks: Available in three versions for the HEMI Gen III engine, these blocks are 100 pounds lighter than the cast-iron block. PN: P5155507, P5153897, P5153898; MSRP: $4,485. Mopar Cylinder Head Stud Kit: For use in high-performance applications, this stud kit provides enhanced clamping force. PN: P5155517; MSRP: $469. Mopar Cold-Air Intake: This bolt-on system is designed to allow cooler air to enter a directional cone filter and be funneled directly into the intake manifold. For 2008-2010 Challenger/300/Charger with 3.5L V-6 engine. PN: 77070032; MSRP: $445. Mopar Cold-Air Intake -- Long Ram Performance Version: This bolt-on system is designed to allow cooler air to enter a directional cone filter and be funneled directly into the intake manifold. With the long ram, the air source is fed from the fender-well area. 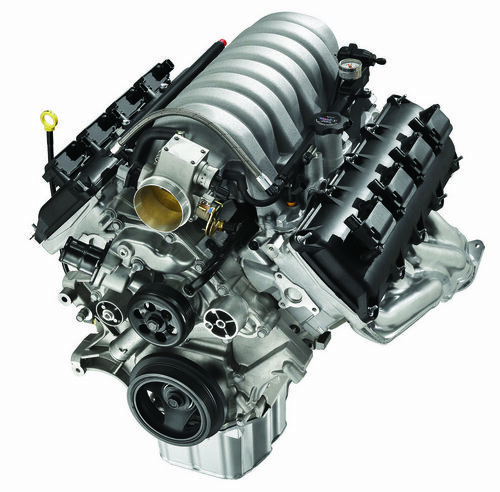 For 2008-2010 Challenger, 2004-2010 Charger/300 with 5.7L or 6.1L V-8 engine. PN: 77070029; MSRP: $390. Mopar distributes approximately 280,000 parts and accessories in more than 90 countries and is the source for all original-equipment parts for Chrysler, Jeep, Dodge and Ram Truck vehicles. Mopar parts are unique in that they are engineered with the same teams that create factory-authorized vehicle specifications for Chrysler, Jeep, Dodge and Ram vehicles; a direct connection that no other aftermarket parts company can provide. A complete list of Mopar accessories and performance parts is available at http://www.mopar.com. Mopar (a simple contraction of the words MOtor and PARts) was trademarked for a line of antifreeze products in 1937. It also was widely used as a moniker for the CMPC. The Mopar brand made its mark in the 1960s -- the muscle-car era. The Chrysler Corporation built race-ready Dodge and Plymouth "package cars" equipped with special high-performance parts. Mopar carried a line of "special parts" for super-stock drag racers and developed its racing parts division called Mopar Performance Parts to enhance speed and handling for both road and racing use.